The popular MOX synth range from Yamaha has updated this time with even more sounds. It's extensive list of powerful and realistic instrumen.. 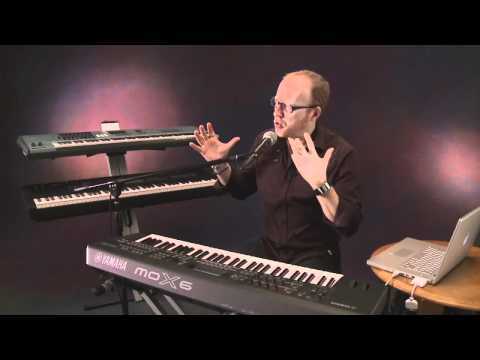 The popular MOX synth range from Yamaha has updated this time with even more sounds. It's extensive list of powerful and realistic instrument patches includes pianos (electric and acoustic), wind instruments, brass instruments, strings, guitars, bass and drums. The Yamaha MOX range has been well established for some time now, which means there's already of plenty addtional content, instruments and more to install onto the 1GB flash memory board. A lot of modern musicians today need something both reliable for use on the stage combined with a versatile and often all-in-one tool in the studio. For on the stage use, keyboard players will make full use of 'performance mode' which enables players to combine the extensive instrument patches on the MOXF8. 4 different parts can be combined and to get you started Yamaha have 256 presets built-in giving you full ensembles, bands and orchestras at your fingertips. For in the studio, simply connect a single USB lead to your computer, laptop or mac and have full control over your DAW software and plugins. Not only does the MOXF8 give you MIDI control, but there is also a built-in audio interface, saving vital desktop and USB port space. The built in audio interface can capture both internal sounds of the keyboard and an additional 2 inputs for guitars or vocals. Don't forget that the USB control is not limited for studio use alone, many using laptops in live performance can take everything their studio needs on the stage too, using VST plugins and the MOX on stage. Bundled with the keyboard is Steinberg Cubase AI, Prologue Synth and YC-3B tonewheel organ. Ontop of all the latest technology, comprehensive controls and user-friendly operation it's important that your keyboard plays like the real thing. Yamaha's attention to detail on the feel of the 88 key keybed has made the keyboard feel exactly like an acoustic piano - the lower register reacts slightly heavier than the higher as you would expect from a real piano. 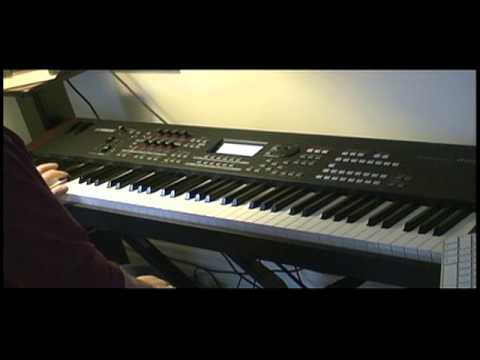 Other technology incorporated to the powerful keyboard is Yamaha's VCM or Virtual Circuitry Modelling. It's made to simulate how EQs, compressors, reverbs, speaker cabinets and all kinds of musical components react. This creates a more than accurate timbre ideal for those searching for an authentic '70s e.piano sound or an analog fuzz distortion on a guitar, for example.